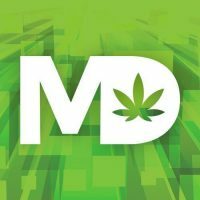 Children’s Healthcare of Atlanta, one of the premier pediatric hospital systems in the southeastern U.S., announced Tuesday that they would be able to support a plan by State Representative Allen Peake (R-Macon) to introduce a medical marijuana bill. While not a rousing endorsement of medical marijuana, Children’s says they are in support of the bill because of the research opportunities that will come along with it. Rep. Peake was expected to introduce his bill today but that got postponed when snow started falling and the House of Representatives adjourned until 1:00 PM Wednesday. It is expected that Rep. Peake’s bill will place a heavy emphasis on medical marijuana in the form of CBD drops and tinctures.